JANESVILLE, Wisconsin -- House Speaker Paul Ryan has defeated a longshot Republican primary challenger who had been praised by Donald Trump. Ryan beat businessman Paul Nehlen in Tuesday's Wisconsin primary. Nehlen had been courting Trump supporters and won praise from the Republican presidential nominee last week. But Trump endorsed Ryan days later. 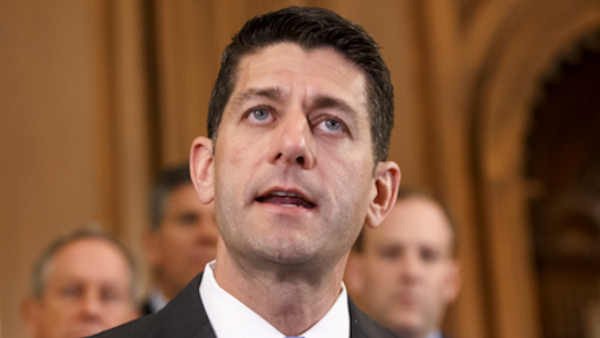 He ran well to Ryan's right, accusing Ryan of betraying Trump and favoring a "globalist agenda" of disastrous trade deals and porous borders. Nehlen attracted support from Sarah Palin and conservative provocateur Ann Coulter, with the latter appearing alongside Nehlen in the district the weekend before the election.